Condor 9. 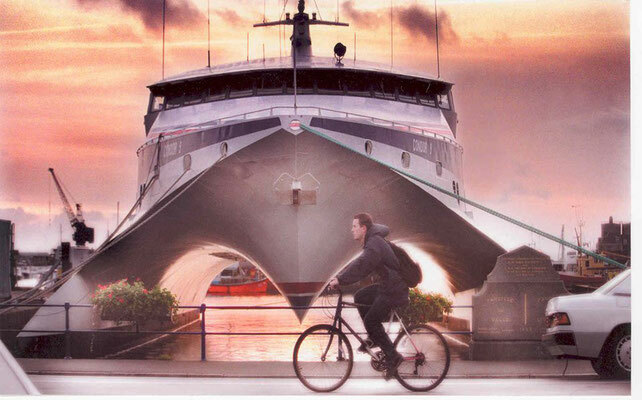 Picture Condor Ferries. 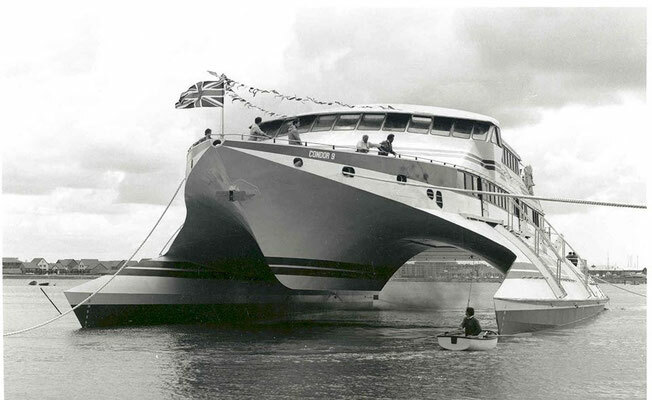 Condor 9 has been the third catamaran ordered by Condor Ltd. She was built between 1989 and 1990 by Aluminium Shipbuilders in Fareham. Her design has been made by Incat, and thus she is similar to Incat Hull 22 (also known as Flight), launched two years before. Condor 9 has been introduced in August 1990 on the Weymoutb – Channel Islands route where she lasted until the delivery of Condor 10, in 1993. Condor 9 was then chartered out to Viking Line which renamed her Viking Express for service between Helsinki and Tallinn, before being chartered in the Caribbean during winter 1994. 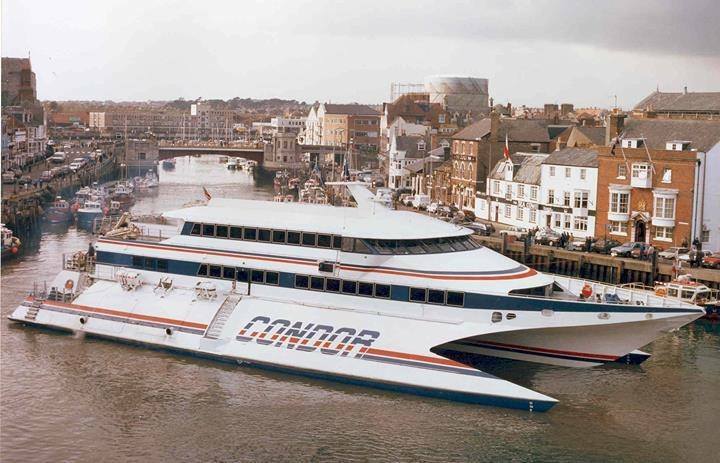 During Summer 1995 and 1996, Condor 9 has been operated on a new Torquay – Saint-Hélier – Saint-Malo service, before being transferred for summer 1997 on a route linking Poole to Saint-Helier and Saint-Malo. 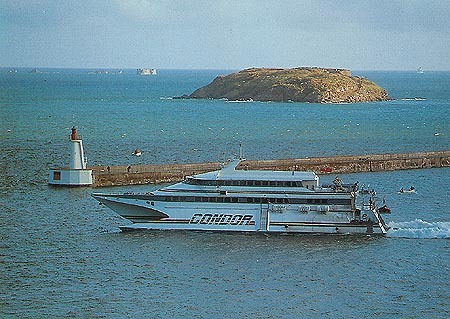 In 1999, Condor 9 was transferred to the Saint-Malo – Channel Islands service, replacing Condor France. She operated the service until 2002 and her replacement with, once again, Condor 10. The introduction of Condor 10 on the Saint-Malo services was targeting competitor Emeraude Lines, which was already operating car-ferry services on this route. 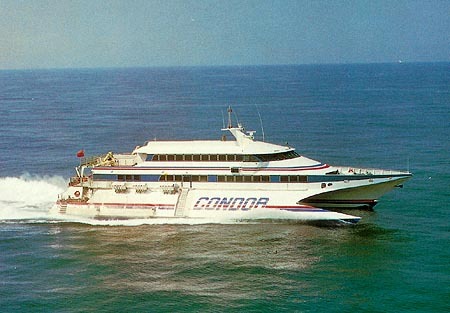 Condor 9 was sold to Stetson Navigation in March 2002 and renamed Cortez for service between La Paz and Topolobampo. The following year, she suffered important engine failures, following a collision made by another ship whilst she was berthed. Her hull was performed, flooding one of her engine room and requiring the engine to be replaced. She was sold to Wronowski in 2004, which renamed her Jessica W for service between New York and Block Island. 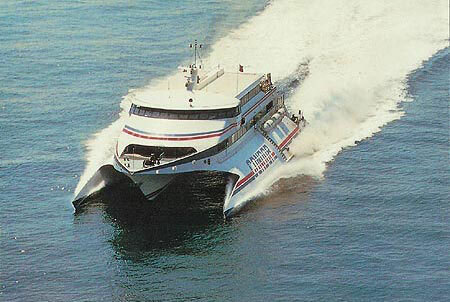 She was sold to Block Island Ferry Service in 2007 yet remained on this route. "Condor Ferries". In Wikipedia, Wikimedia Foundation and its writers, 2015. [retrieved 23rd August 2015]. Available at en.wikipedia.org.